One of my favorite parts of the winter season is being warm and cozy. Maybe wrapped up with a cup of hot cocoa watching a Hallmark movie? What is your warm and cozy time? Here is a card to share with friends and family with warm wishes included. This is a brand-new Holiday shaker stamp and die set featured on a kraft card in a very simple way. 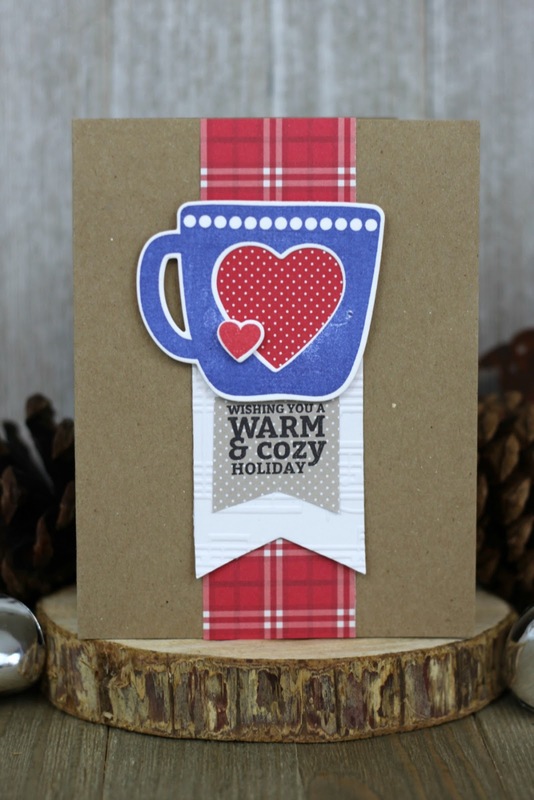 It starts with a red plaid border strip added to the middle and a embossed tag layered on top. Next you need to stamp the mug in navy ink and the small heart in red ink. Add a red dot backer to the mugs heart. Now stamp the sentiment in black ink onto grey dot paper. 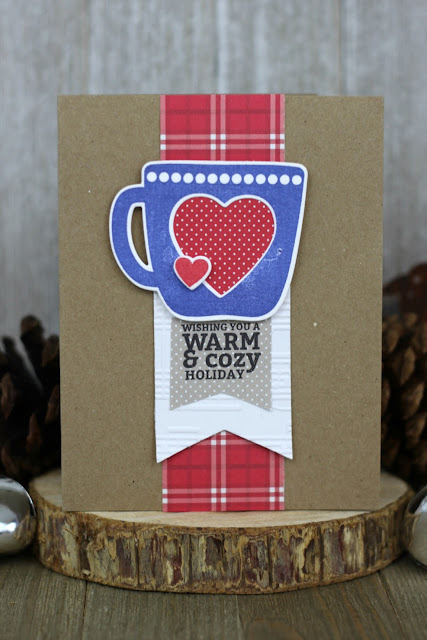 Add the mug to the card on top of the tag with foam adhesives and the small red heart. May you have a cozy holiday season full of your favorite things!